through it. Otherwise, the top floor us unheated. It had a garage. There was a large hay barn and stock yard in back of the house. This home was built in 1919 for James Wilson (went by J.W. or Wilse) & Ada Harrison Spendlove Imlay. During construction of the house, the Imlay family lived in the garage and a couple of sheep wagons. For many years, it was the finest house in Hurricane. The Imlays lost this home in 1937 or 1938 as a result of devastating losses in their sheep business. Elna Guffy rented rooms and served meals in the house, calling it the Dixie Guest Home. She also cooked meals to sell in LaVerkin. 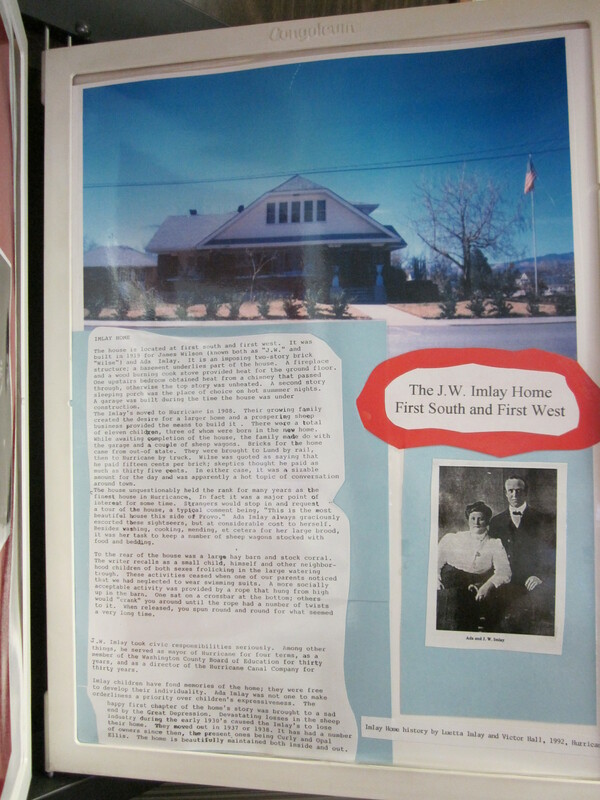 Jack & Marjorie Howell lived in the house in 1952. Then they bought and lived in it from 1954 to 1963. 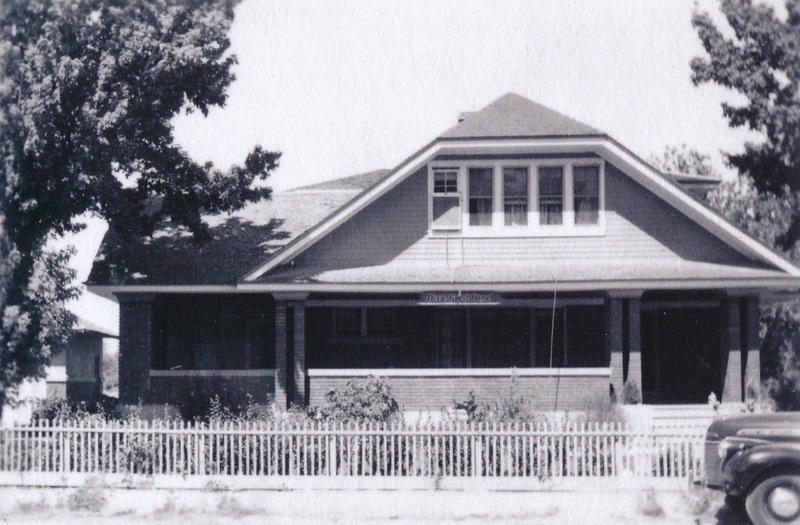 The Howells sold the house to Curly & Opal Ellis in 1963 and moved to St. George. The Ellis' sold the house to David & Donna Peterson in 1992. 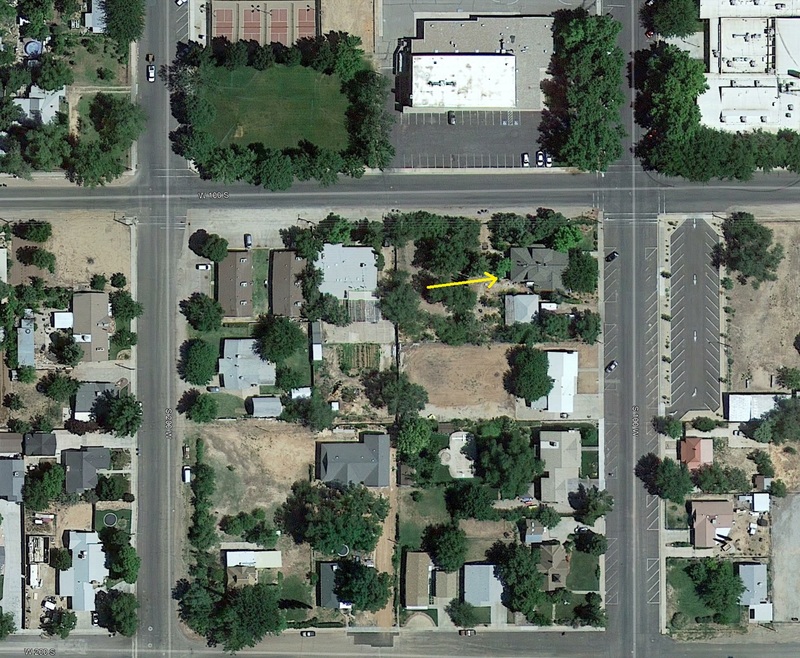 In 2000, the Petersons sold the house to Lamar & Peggy Buhler. James "J.W. or "Wilse" & Ada Imlay Click here.